What’s The Best Electric Shaver For Coarse Hair? Having coarse, thick facial hair can be a good thing. You can grow a majestic beard and even after one or two days of growth it won’t look patchy like the facial hair of a high-school boy that just hit puberty. But this is pretty much where the silver lining ends. As you can see, it mainly has to do with those times when you don’t actually have to shave. When it comes down to it, a heavy beard is more challenging regardless if you’re using a razor blade or an electric razor. To get a close and comfortable shave you must — among other things — make sure to use the right tool for the job. Therefore, in this article we’ll take a close look at some of the best electric shavers for coarse hair. What qualifies as coarse hair? Determining your beard thickness is pretty simple and straight forward. A thick beard tends to have that short, dark, dense look and grows back pretty quickly. 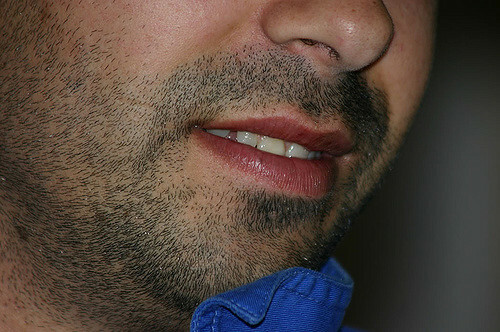 A visible 5 o’clock shadow is also very common for men with thick and dense facial hair. Thick facial hair can sometimes appear patchy in certain areas — like on the cheeks — and very dense around the chin, upper lip and on the neck. Apart from the visual cues mentioned above, another indicator of heavy beard is how fast it grows back after a clean shave. If you need to shave daily and your face feels rough to the touch after just one day, then you most likely have coarse hair. When choosing an electric razor it’s important to have a clear picture of your particular needs in order to find a suitable product. Men with thick facial hair are probably aware of this matter. And that’s important because the coarseness of your beard should be an integral part of your search for the right shaver. Not all electric razors are suitable for coarse hair. You could basically use any shaver to get the job done, but that won’t necessarily result in a comfortable, smooth, close and enjoyable shave. Nobody wants to spend money on products that will cause discomfort, frustration and unsatisfactory results. A bad shaving experience with one particular razor that wasn’t right for the job could even determine someone to stay away from electric razors altogether. So let’s see how we can avoid this. What are the qualities of an electric razor suitable for coarse hair? An electric razor fitted with a more powerful motor will be beneficial in pretty much any situation, but they are particularly important if you have coarse facial hair. The difference in cutting power between a decent, but basic razor like the Series 3 from Braun and an advanced one like a Panasonic Arc 5 is even more obvious in this case. Cutting thick, dense stubble requires serious power and a motor that oscillates at very high speeds will perform significantly better and the actual shaving time will be reduced as well. This one is pretty obvious as well. A dull blade can cause pulling and tugging while the closeness of the shave will suffer as well. The two inner blades of the Panasonic ES-LV65-S Arc 5. It’s also worth mentioning that if you have a tough beard and need to shave very often the blades and foils will probably need to be replaced sooner than the manufacturer recommends, so make sure to do it as soon as you notice a drop in performance. While more blades won’t always improve the shaving experience to a significant degree, they most likely will in the context of coarse facial hair. Braun Series 9 9290cc (left) vs Panasonic ES-LF51-A Arc 4, two foil shavers with 4 blade cutting systems. Men with heavy beards almost always have very dense stubble, which means that during a shaving session there are literally more hairs that will need to be cut compared to a medium or light beard. For this reason, I would say that a suitable electric razor will need to have at least three individual cutting elements. This one is not a must, but I strongly recommend giving wet shaving a try, especially if you also happen to have very sensitive skin. The addition of a quality shaving cream can improve the closeness and comfort of your shave. You can check out our tips for wet shaving with an electric razor here. If using shaving cream with your electric razor doesn’t sound too appealing, the nest best thing would be a pre-shave lotion that takes just seconds to apply and in most cases it’s very effective. All men have the same reasonable expectations from an electric razor — a close and comfortable shave. And the first step in achieving this is to choose an appropriate shaver. Now that we know what to look for in a razor suitable for coarse hair, let’s check out some of the best you can currently buy. The Series 9 is Braun’s premium line of electric shavers and they encompass the best the company has to offer. An evolution of the iconic and extremely popular Series 7, the Series 9 is a beefed up, more powerful and more advanced razor that should satisfy even the most demanding users. Available in both wet & dry or dry only variations, the Series 9 can also come with an automatic cleaning station. My personal pick is the Series 9 9290CC for its wet & dry capabilities and Braun’s excellent cleaning system. It also seems to cost lower than other similar Series 9 models. You can check out a comprehensive comparison of all Series 9 variations here. So what makes the Series 9 suitable for coarse beards? The powerful motor and an advanced 4 blade cutting system make the Series 9 is one of the best electric razors you can buy at this moment. These features work together to provide an incredibly smooth and enjoyable shave even if you have a very though beard and two or three days of growth. 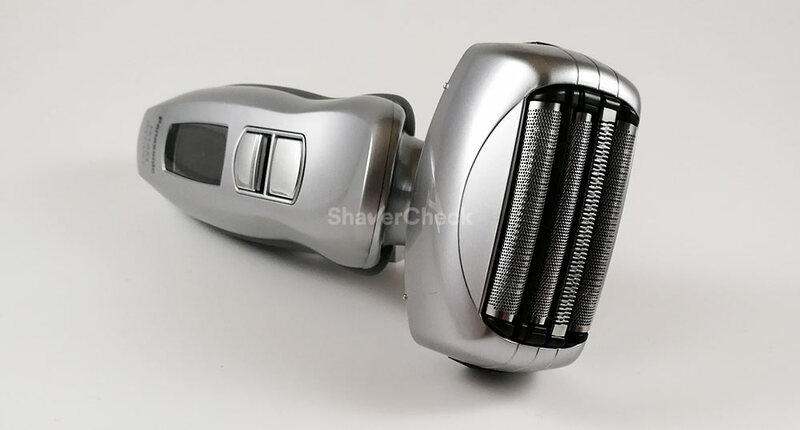 I personally don’t think there is any other shaver at this moment that can outperform the Series 9 as a whole; the comfort, speed and effortless operation are second to none. If you are “blessed” with sensitive skin and a thick beard like I am, the Series 9 would be a perfectly suitable choice. 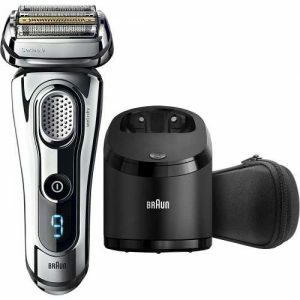 As for the downsides, the Series 9 is definitely not cheap, so if you’re looking for a Braun shaver that offers better value for money and still works well with tough whiskers check out the Series 7 or 5. Also, while the Series 9 should be good enough for most men when it comes to closeness, it’s actually not the best in class, being edged Panasonic’s Arc 5 shavers. 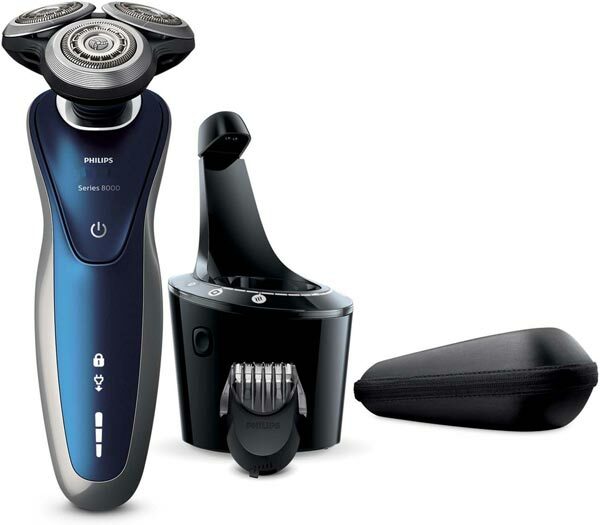 Just like the Series 9, the Arc 5 is Panasonic’s premium line of electric shavers. While there are several variations available here as well, my personal pick would be the Panasonic ES-LV65-S from the second generation Arc 5. In terms of shaving performance, all Arc 5 razors are similar, so the difference comes down to design, price and the inclusion of an automatic cleaning base. Since a cleaning station is not really necessary in the case of Panasonic shavers as they’re very easy to clean manually, it makes sense to recommend the ES-LV65-S over other models. If the cleaning base is a must have for you, there is the more expensive ES-LV95-S Arc 5 variant that includes one; other than that they are exactly the same. The Panasonic ES-LV65-S is fitted with an extremely fast 14 000 CPM motor and very sharp blades that are honed at an aggressive 30 degrees angle. This allows them to cut thick hairs extremely close, fast and efficiently. The massive shaving head with the 5 blades can cover very large surfaces with ease, reducing the number of strokes and the shaving time to a minimum. Personally, I would place Panasonic’s Arc 5 line in the first place with regards to the closeness of the shave. While Braun’s Series 7 and 9 are more comfortable out of the box, in my own personal and subjective experience the Panasonics are marginally better at providing a closer shave. Again, this will vary among different users and in some instances it can very well be the other way around. But generally if you are mainly concerned with getting the closest possible shave, I recommend the Arc 5 over Braun’s Series 9. Rotary shavers also fare very well with thick stubble and according to some they are even superior to foil shavers. 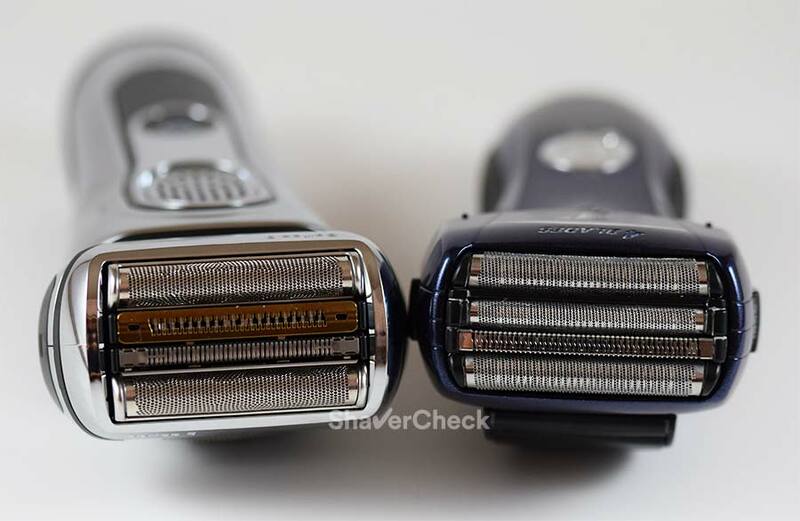 I think this can be the case with entry level foil shavers; advanced razors like the ones in this article will probably perform equally well. One of the best rotary razors in terms of performance and costs is the Philips Norelco 8900. The specs are very similar to premium Series 9000 shavers like the Norelco 9300 and 9700, but the price is significantly lower. Moreover, the Norelco 8900 uses the same replacement shaving heads (SH90) as the aforementioned razors. 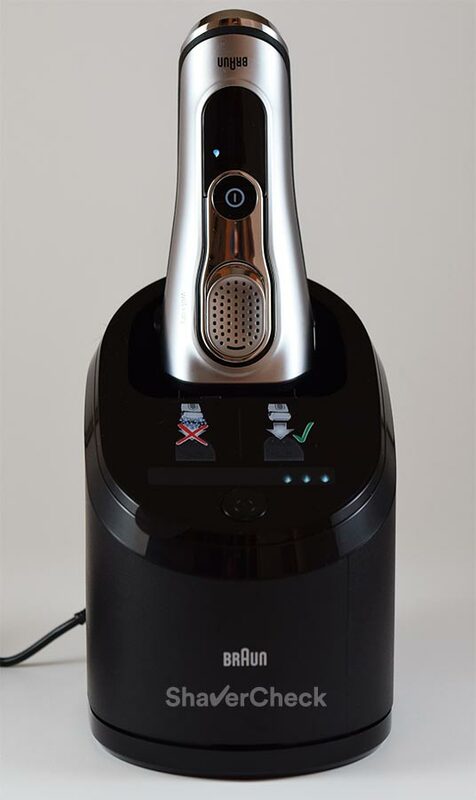 As a result, its performance is among the best you can expect from any rotary shaver. So if you are a rotary shaver guy, definitely check this one out. It’s available with or without an automatic cleaning station. 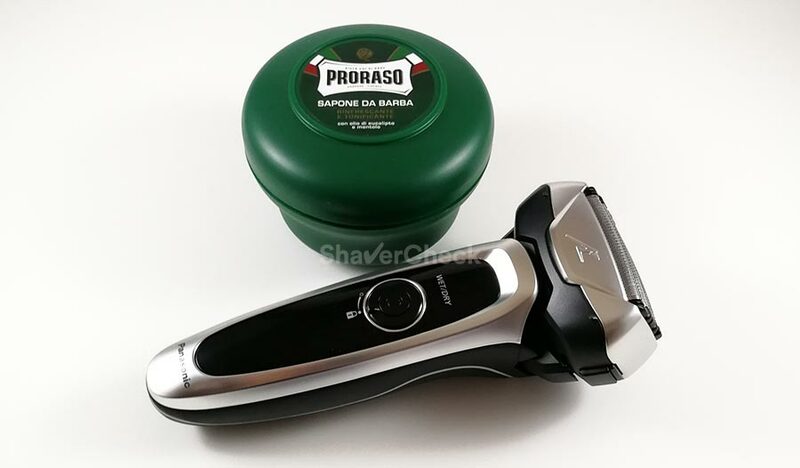 The older ES-LA63-S from Panasonic’s Arc 4 line is a personal favorite of mine and probably the razor I recommend the most. The reason for this is pretty simple: it’s a very capable, versatile and solid shaver that offers excellent value for money. The ES-LA63-S includes some of the features found on much more expensive Panasonic electric razors like the Arc 5. It has the same 14 000 CPM motor, 30 degrees nanoblades and 4 individual cutting elements. These features ensure excellent results even when dealing with very coarse stubble. With a competitive price, the Panasonic ES-LA63-S represents a very compelling and cost effective option for men with coarse facial hair. For more details, you can check out my detailed review of the ES-LA63-S. Finally, the best option for the budget conscious buyer is undoubtedly Panasonic’s entry-level Arc 3 line. Basic electric shavers usually can’t match the performance of the more advanced and much more expensive razors. However, the Arc 3, at least some variations, manage to punch way above their price. And if you have a tough beard you’ll definitely want a solid performer. There are a lot of models in the Arc 3 family, old and new, most of them still available for purchasing. When choosing one you should be looking at two things: power output and price. The Arc 3 models that are fitted with the powerful 13 000 CPM motors are the ones you’ll want. The difference compared to the less powerful shavers that come with the 7 600 – 10 000 CPM units is night and day. The ES-LT41-K Arc 3 is one of the best options out there at this moment. It’s reasonably priced, comes with the punchy 13 000 CPM motor and features the same high quality blades as the more expensive Arc 4 and Arc 5 shavers. As a result, its performance is outstanding at this price point. An equally good alternative is the Panasonic ES8103S Arc 3. While the design is different, the performance is pretty much identical, so I recommend you to simply buy the one that costs less. In my opinion the 13 000 CPM Arc 3 shavers are the ones to have in the entry-level segment if you have a coarse beard. The offerings from the competition, like Braun’s Series 3 or Norelco’s Series 5000 just aren’t as good. To get the best results, I recommend using the Arc 3 more often (daily or every other day). Before wrapping up, I want to point out that in order to get the most out of your shaver, the single most effective thing you can do is to set up an appropriate pre-shave routine. A few simple and easy to implement steps can significantly improve your results. And since coarse hair makes things that much difficult for an electric razor, prep work should not be skipped. If you have any other questions, make sure to post them in the comments section below. 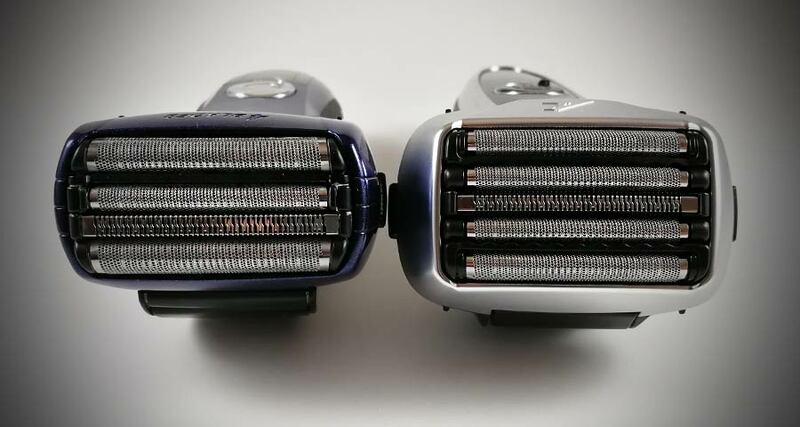 Home » Articles & Guides » Best Shavers » What’s The Best Electric Shaver For Coarse Hair? I want to buy the Braun series 9 shaver for my husband. He is of indian descent and has very coarse hair that grows in different directions and sensitive skin. His hair sounds similar to yours based on what you described in the article. What shaving gel or lotion etc would you recomment i also buy for him to use with the shaver? Based on your comment I think the Braun Series 9 would be a suitable shaver for your husband. Regarding your question, any quality shaving cream or gel will work. I would however stay away from the ones that come in pressurized cans, they are pretty nasty. You can check out some of my recommendations here. Another option would be a pre-shave lotion that must be applied prior to a dry shave. Williams Lectric Shave or Afta Pre-Electric Shave are two of the most popular products of this type. The Series 9 is already very comfortable as it is, so a shaving cream won’t make that much of a difference in this case, so it’s up to the user to decide on this matter. For example, I use shaving cream with most of my shavers, but with the Series 9 I really didn’t feel the need to do it. Please keep in mind that if you go for a Series 9 that comes with a cleaning station, the razor must be dry and free of any foam residues before using the station. Thank you so much for all your help. Your article in itself was a huge help. I researched some pre-shave lotions for the dry shave. I will definitely purchase one of those. I’m leaning more towards the Aramis Lab Series pre-shave mainly due to the fact that it has a faint scent. Thanks again. You are very welcome, Cherise. The Lab Series is an excellent pre-shave lotion. I actually consider it superior to the other two popular options. However it’s not as easy to find (at least in Europe) and it’s also pricey. But again, the quality is top notch. Also, do you think the Series 7 would be able to tackle the hair growing in different directions as efficiently as the Series 9 (bearing in mind I would be buying the pre-shave lotion) or should I just stick to purchasing the Series 9? The Series 9 is definitely superior when dealing with hairs that grow in different directions. In fact, I would go as far as saying that it’s the best foil shaver in this regard. A pre-shave lotion will help, but only to a certain degree. If it fits within your budget, the Series 9 is the one to buy. Thanks so much for the quick response. I’m just hoping the foil head doesn’t spoil prematurely. I read a lot of reviews on Amazon where people said it failed after 3-5 months. I really hope that does not happen but I guess only time will tell. Thank you for your comment. One hour is way too much for completing a shave, so your current setup — a basic rotary shaver and a razor blade — clearly isn’t working as it should. The Philips Norelco 4100 is a decent shaver, but far from ideal in this situation (sensitive skin and thick facial hair). I would say that a more advanced and more powerful foil shaver is the way to go. They are also more comfortable and gentler to the skin compared to most rotary razors. The ones mentioned in this article should be a very good starting point. I’m pretty sure that the foil of your previous shaver that broke after one week was an isolated accident. This doesn’t normally happen unless the part was defective from the beginning or it wasn’t properly handled. Speaking of which, as long as you clean and lubricate your shaver according to the user’s manual and you don’t subject it to mechanical shocks the foils should last for a long time. Regarding the technique, I wrote an in-depth guide here that may come in handy. I have a thick beard, and I’ve tried a few Philips shavers, but I take too much time to shave. First I use a hair shaver, then the Philips and finish with a Gillette razor blade. Once, I was travelling and I went to a barbershop, the guy used a rectangular shaver that shaved my beard (one and a half week grown) in seconds. He told me the name a few times but I didn’t understand. It wasn’t Brawn. It was probably a professional grade equipment, but I’d never know which one he used. From what I can tell rotary razors don’t seem to work very well with your beard and you should maybe consider a high-quality foil-based shaver. Wahl and Andis electric shavers/clippers are often favored by professional barbers. I’ll take a look on them. I’m really sorry to hear that. The Series 9, while it doesn’t excel in every situation, is considered to be one of the better shavers out there. It is particularly good with sensitive skin, so I was a bit surprised by your experience. 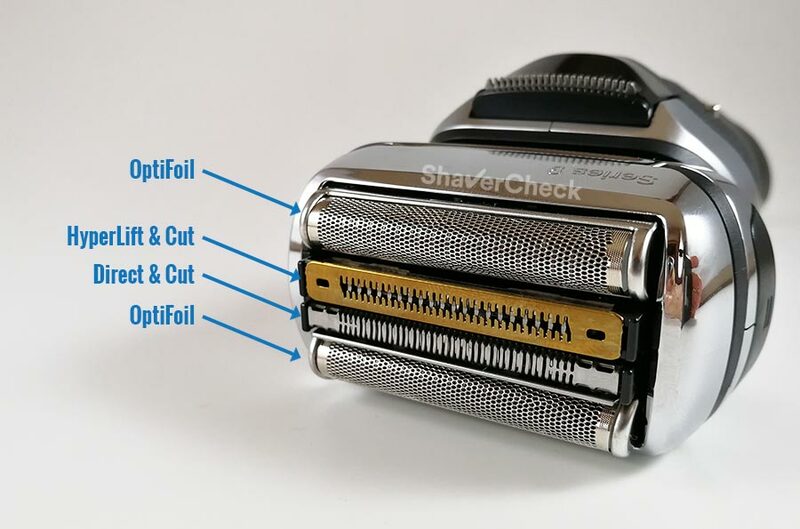 I understand that you previously used a Philips shaver; foil-based razors require a different technique and it may take some getting used to before seeing better results. This article may be of help. 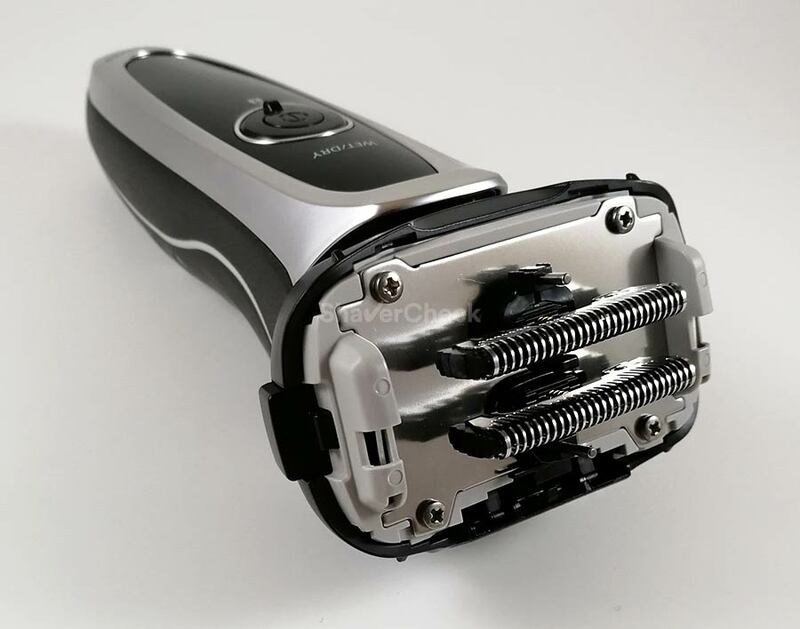 However, if you still don’t see any improvements I would recommend you to go back again to using a rotary shaver; in some cases one type simply seems to work better than the other. Alas, I also have some fairly sharp facial contours around the jaw, including some fairly tight concave areas — difficult for any shaver. How do your recommended shavers do vs. sharp, complex jawlines? Thank you for your comment. Facial hair particularities come in many forms, so it’s difficult to cover all the possibilities. Usually coarse, thick hairs are also quite dense as opposed to moderately dense in your case. This should actually make things easier for an electric shaver. Rotary razors are usually recommended if you have very prominent facial features, but in my experience with a bit of extra work, a foil razor can work just as well. Using your free hand to stretch and tighten the skin is probably the most effective tip I could give. 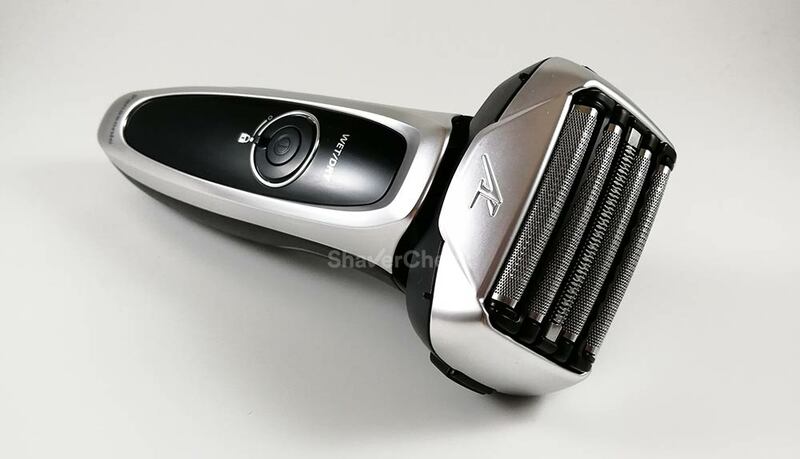 An electric shaver with a very bulky head like the 5 blade ES-LV65-S will however be more difficult to maneuver compared to one with a slimmer head. I would recommend you to check out the Braun Series 9 or the Panasonic ES-LF51-A, they seem like a good fit. I don’t really get along with rotary razors, but if you’ve ever used one with good results, the Philips Norelco 9300 or even the 8900 are among the best you can currently buy. I’m confused. You recommend a rotary shaver for course hair…but you don’t like it for your course hair? I’m torn between the rotary you recommend and the foil you suggest. Rotary shavers are definitely suitable for coarse hair — some may even argue that they are the best for this situation. However, I do not personally enjoy shaving with rotary razors because I never get the same excellent results compared to using a capable foil-based shaver: closeness, comfort and how long it takes me to complete a shave. Again, this is just a personal preference and others may find rotary razors to be better. For first time users, I tend to recommend foil shavers as I think they are a safer choice in most cases. Hi, I’m looking for a durable shaver for my Dad’s very coarse hair, he lives overseas so I need something that is going to last for a long time and doesn’t need replacements. What would you recommend? All electric shavers will eventually need replacements. The blades will get dull with use and the foils/combs will wear out. How fast that happens will depend on many factors, among them being the coarseness of the hair, frequency of use and how well the shaver is cared for (cleaning, lubrication). Any of the shavers recommended in this list should get the job done, the more expensive ones also providing better performance. Choosing one should come down to your budget and availability.